Summertime and baseball go hand-in-hand. 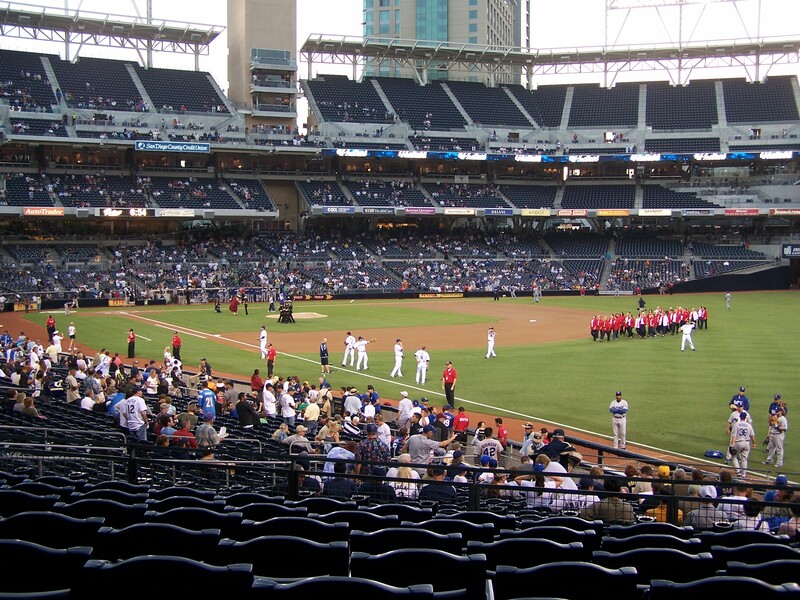 Whether a Padres fan or not, Petco Park, ballpark for the San Diego Padres, is only steps from the conference site and worth a visit, offering incredible panoramic views of downtown, San Diego Bay, and Coronado. Behind the ballpark’s outfield is a small grass field and hill known as the “Park at the Park” which offers a unique spot to catch a game and has a mini baseball diamond where you can fulfill your dream of running the bases. For those not as keen on baseball, you can instead enjoy sights of the ballpark, downtown and San Diego Bay while towering stories above Petco Park at the roof-top Altitude Sky Lounge in the Marriott, across the street from the ballpark’s main entrance. The Lounge also offers unique peek-a-boo views into the ballpark, although you may want to bring a pair of binoculars for the play-by-play. As a side note, you might notice when visiting the ballpark that former all-star San Diego Padre Tony Gywnn remains a fixture in San Diego baseball. The main entrance to the ballpark is located on Tony Gywnn Drive, and if you happen to visit the ballpark’s Park in the Park you’ll find a statue honoring Tony Gywnn in the aptly named Tony Gywnn Plaza. And, not only is he the current head coach for San Diego State University’s Aztecs baseball team, even their baseball stadium bears his name: Tony Gwynn Stadium. Ready for baseball in San Diego? We posted recently that SAA has reserved a block of tickets for the Cubs vs. Padres game on August 7, game time 7:05pm. For more information and tickets visit: http://www2.archivists.org/conference/2012/san-diego/august-7-cubs-vs-padres-baseball-game.